Today, I would like to briefly summarize the past two days for you, during which Cringle was invited by IIR to join the annual cashless payments forum as an expert on cashless payments between private individuals. Consequently, we joined the representatives of several Austrian payment service providers who were allowed to present their solutions to a large audience. The first day of the event was meant primarily to provide an overview of the Austrian market. The keynote speech by Sandro Graf about client behavior was particularly interesting. In this speech, Graf provided some insights into the relevant psychological factors concerning users. Indeed, as he said, four dimensions are essential to behavior and to the adoption of new methods of payment. In light of the existing oversupply of options, people are unable to make a purely rational decision based on the information available. The fact mentioned above causes people to first come up with a set of alternatives consisting of familiar or at least known solutions. People then focus on those options from the set of alternatives that they can most identify with and that, in their opinion, reflect the social preferences of their milieu. Finally, when making their decision, people select the solution that meets their demands in the fastest way and works as expected. 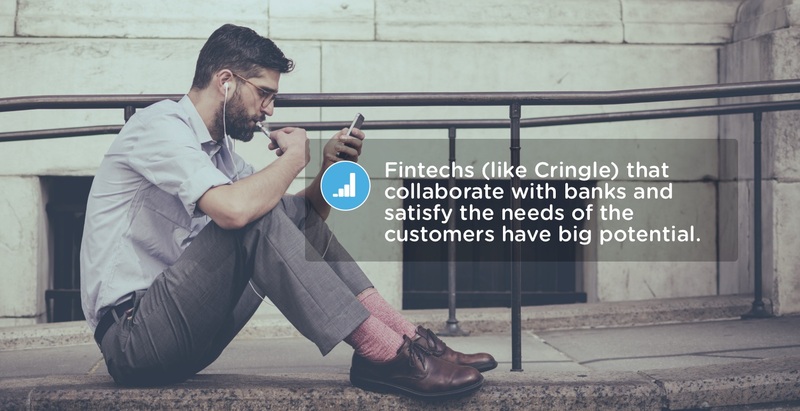 In short, Graf believes FinTechs meeting those demands together with banks, such as Cringle, have great potential. To us, this was yet another proof that we are on the right track toward making Cringle the leading European P2P network in collaboration with banks. On the second day, the event focused on payment-related novelties and innovations. More specifically, that day focused on the solutions offered on the Austrian market and in other European countries and, most importantly, on what Cringle is offering. There was also an interesting keynote speech on that day. In that speech, Leif Trogen, head of the banking infrastructure department at the Swedish association of banks, focused on the question of "How successful has Sweden been in moving away from cash and what explains this success?" The section of the speech about the prime example of Swedish P2P payments, Swish, was particularly relevant to Cringle. According to Trogen, Swish has been an important factor in Sweden's transition to a cashless society. He believes there is a clear correlation between the significant drop in withdrawals at ATMs and widespread use of the Swish P2P service. 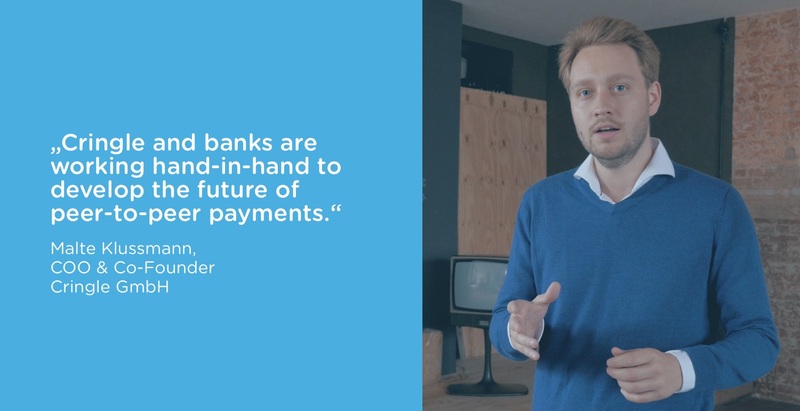 When Malte asked him what motivated Swedish banks to offer Swish for free, the answer was relatively straightforward: They quickly needed a solution for digitizing transactions between people, and Swish has helped them do so highly successfully. Afterward, it was time for the presentation by Cringle co-founder Malte Klussmann. In 30 minutes, Malte showed which advantages the Cringle P2P solution has for users and, more importantly, how Austrian banks can benefit from a partnership with Cringle. The speech by Leif Trogen was an ideal springboard for Malte's speech, so there were lively discussions with various representatives of Austrian banks and payment institutions afterward. All in all, the event was highly interesting and informative. For Cringle, the event served as a good way of informing some relevant representatives of our launch in Austria and of raising awareness of Cringle. In October, there will be another IIR conference in Vienna on the subject of FinTechs. Cringle will also attend that conference as an expert. 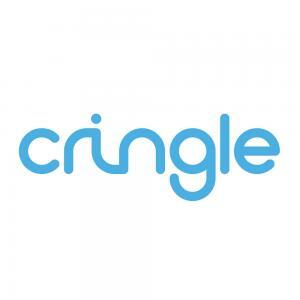 Moreover, the launch of Cringle in Austria will be delayed by a few weeks. This is due to stricter legal requirements in Austria and to the sickness rate within our team of developers. Shortly after the Cringle launch in Austria, we will also broadcast our first TV campaign in Austria, which we think is particularly exciting. Last but not least: Please keep on Cringling!